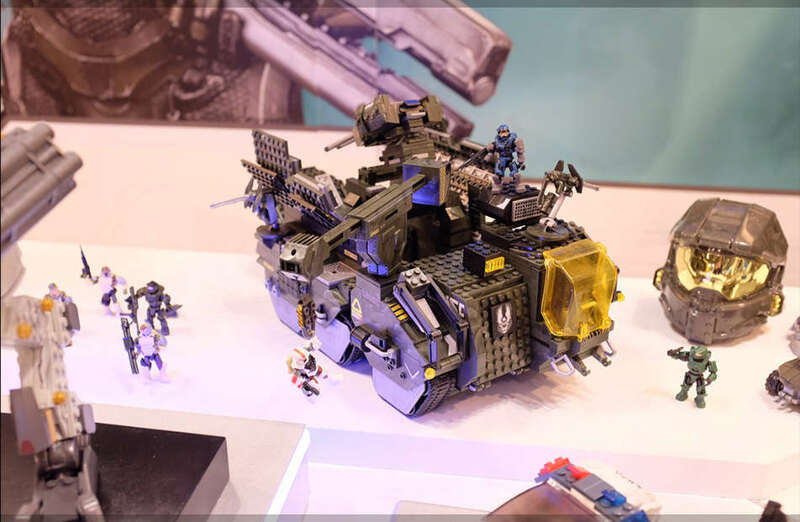 The Halo universe is expanding into a large toy collection that has appeared at Toy Fair 2014. The figures come from various manufacturers including Mega Bloks, Bandai, McFarlane, A Crowded Coop, NECA, and Kotobukiya. Official Halo site Halo Waypoint has announced that the collection will be released “this year and beyond”. Toy Fair 2014 is an expo taking place in New York this week, run by the Toy Industry Association. The Halo collection was not limited to just figurines, but also saw bags and keychains displayed. Microsoft has confirmed that its next Halo game will be released for the Xbox One this year. It has not yet announced the game’s name, although it has been confirmed that the title is being developed by 343 Industries. Tagged Awesome, Check, these, toys, ‘Halo. « What Really Constitutes Pay-To-Win?